“Mother . . . I’ve found such a poor family,” one of several illustrations by American artist William James Glackens (1870–1938) that accompanied “A True Patriarch” when it appeared in the December 1901 issue of McClure’s. Theodore Dreiser’s memoir Newspaper Days relates his experiences as a journalist in four Midwestern cities during the 1890s and describes at length one particular assignment he initially dreaded. The St. Louis Republic, which hired him as a reporter in 1893, asked him to accompany to the Chicago World’s Fair twenty schoolteachers who had won a statewide popularity contest sponsored by the newspaper. His dread turned into delight when he met the group of women at the outset of their journey: “I was bewildered by the bouquet of faces around. Already the idea of the dreary school teacher had been dissipated. These were prizewinners.” He openly flirted with several of his fellow travelers, but much of his attention was reserved for Sara Osborne White, known as “Jug” to her friends. The following July a smitten Dreiser visited Montgomery City, Missouri, to see Sara and meet her parents, and the couple maintained a tentative long-distance relationship for the next four years. Her father, Archibald White, whose family had lived in the area for seven decades, was a prominent local figure recognized for his support of Democratic causes and elected sheriff for a spell in the mid-1880s. Dreiser, perpetually ashamed by his own impoverished background and his family’s low social status, was awed by the Whites and was slow to commit to marriage until he felt more financially secure. Yet, in late 1898, while living in New York, he arranged to meet Sara in Washington, DC, for an elopement; they were married at the end of December. Well into the early years of the twentieth century Dreiser was still struggling to make ends meet. 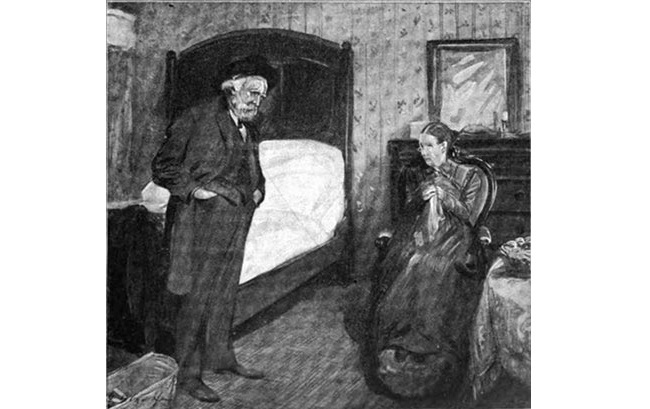 His first novel, Sister Carrie, published in 1900, sold poorly and the response from reviewers was tepid at best. To support himself and his wife, Dreiser wrote stories and articles for magazines, and some of his work (in the words of literary critic Richard Lingeman), “fell between the editorial stools of fiction and article.” In one such piece, “A True Patriarch,” he created a semi-fictional account of his father-in-law, fleshing out anecdotes he had heard over the preceding decade. The editor of Frank Leslie’s Popular Monthly rejected it because readers “would wonder in reading it where the ‘story’ was going to begin” and, besides, no one was interested in stories about Missourians. “A True Patriarch” found a home in the December 1901 issue of McClure’s magazine—seven months before the subject of the profile died. Dreiser visited his in-laws for the Christmas holidays soon after it appeared, so it seems almost certain that Archibald White read it in the final months of his life, although we don’t know what the old patriarch himself may have thought of the account. 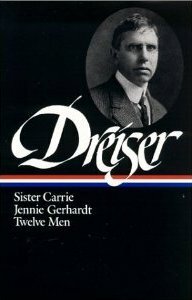 In 1919 Dreiser updated and revised the story for inclusion in Twelve Men, adding elements that underscored White’s benevolent nature. Note: The scriptural quote on page 987 is from the Epistle of James (1:27). In the streets of a certain moderate-sized county seat in Missouri not many years ago might have been seen a true patriarch. Tall, white-haired, stout in body and mind, he roamed among his neighbors, dispensing sympathy and a curiously genial human interest through the leisure of his day. . . . If you don't see the full selection below, click here (PDF) or click here (Google Docs) to read it—free!